Success Story: EMI and Wawa, Inc.
EMI Success Story - Wawa, Inc.
EMI began by helping Wawa create a fresh look that captured the ‘feel’ of Florida. The Wawa and EMI engineering teams collaborated for several months on the development of the brand new store design which resulted in many product enhancements across Wawa’s upscale, state-of-the-art stores. These products are featured in the checkout area, beverage post mix, fresh coffee/condiment areas and, of course, the store’s focal point: the kitchen area. To-date, Wawa has opened over 100 locations in the Florida market, and all of these except the first few have been built by EMI. In addition to supporting Wawa’s Florida expansion, EMI helped with the chain’s growth in its core market. As Wawa looked to replicate its successful Florida growth plan in the Mid-Atlantic region, EMI’s multi-regional strategy became a valuable asset. As a result, EMI’s Rhode Island division was able to leverage much of the engineering and programming already completed in Florida and ramp-up quickly to help Wawa hit its ambitious objectives in this market. Additionally, Wawa realized reduced transportation costs and accelerated speed to market. One of the most challenging objectives for Wawa was to remodel / renovate outdated stores in the Mid-Atlantic market. With EMI’s help, Wawa has been able to successfully launch this program. EMI designed solutions that met each location’s unique requirements and strategically standardized products where beneficial, which provided additional cost savings to Wawa. 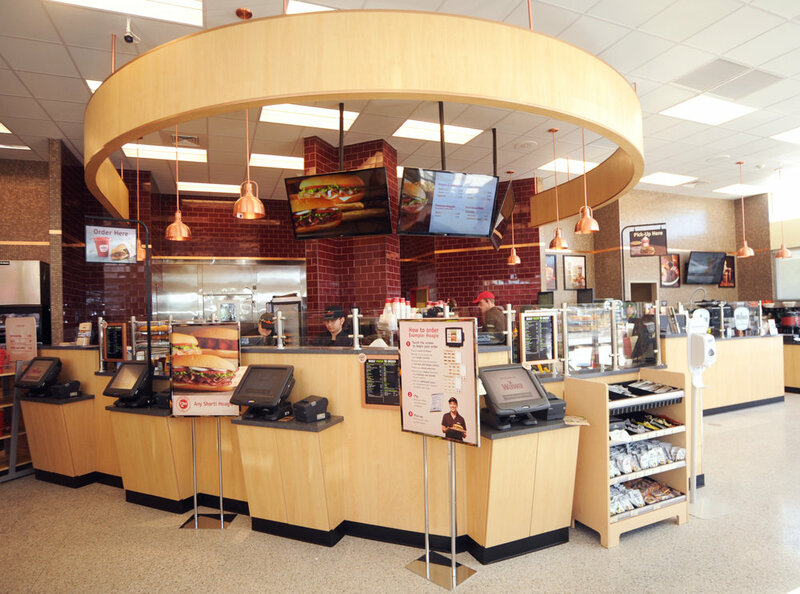 In the last five years, EMI has helped Wawa to overcome design challenges and make numerous store design enhancements and innovations that both Wawa associates and customers are enjoying in the Florida and Mid-Atlantic markets. By channeling its multi-regional strategy, finding unique solutions, and providing world-class customer service, EMI Industries has delivered exceptional value and helped Wawa successfully grow.